Is your house the relaxing sanctuary you need it to be? Or are you knee deep in clutter no matter how hard you try to keep your home organized? The truth is that sometimes you just need a little guidance. Enter Ava Conner. 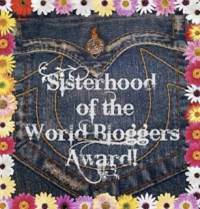 Her work has helped thousands achieve the organized and clutter free home of their dreams. So if your home completely overwhelms you (or even if you just need a little extra motivation to clear out that junk drawer), this handy, no fluff compilation can be your guide to cutting clutter, reducing stress, and keeping an organized home. 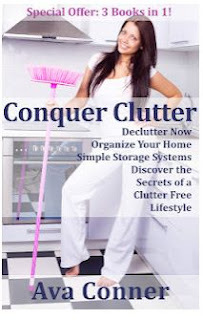 Ava Conner combines three of her books into one: Conquer Clutter. This book takes readers room by room in order to help them conquer their disorganized home. The first part, Declutter Now, focuses on readers going through their homes and making the ultimate difficult decision: Do I need this? Followed quickly by the world YES flashing red inside of their brains. Again followed by the question: Okay, do I really need this? This part of the book also helps in determining where everything goes! If an item doesn't have a specific place, where are you supposed to put it when it's "away?" Conner uses this section to help readers slim down their stuff before moving on to the next step. Organization. Your Home Organized, part two, focuses on what can be done in each room now that there's more space (assuming you got rid of at least something from each room). Conner gives readers organizing tips so that it's easy to keep the house clean and functional after removing the clutter. Then in part three, Simple Storage Systems, Conner goes above and beyond to help readers create a "home" for all of their items. With a label maker and storage units, readers will have no trouble knowing where everything is. She even goes deeper by listing a few home DIY projects that involve building more storage to create a new home look. The best thing about this novel was that if read one chapter at a time: it can really help readers de-clutter their lives. Reading it all the way through becomes a bit repetitive but when the book is put to use, I don't think this will bother readers in the slightest.